IPAC’s National Leadership Conference is designed to provide leaders, practitioners, and academics working in or with the public sector the opportunity to connect with and learn from leading edge experts who successfully tackled disruption and change. Give you key information, tools and examples of how you can successfully manage change, tackle disruption and shift the mindset of an organization. Engage you with cutting edge leadership development workshops that will enhance your ability to lead in a fluid, shifting environment. Provide you with access to renowned experts who led public sector organizations through complex, disruptive times and successfully implemented changes that reshaped and improved their organizations and teams. Showcase IPAC’s new Excellence in Public Service Award. Increasingly leaders must manage disruption along with change. In an environment where disruption is both sought and feared, where change has become a permanent requirement for both individuals and organizations, leaders across the globe are increasingly looking at how to shift the mindset of their organizations. You can develop a set of skills that will enable you to shift mindsets and successfully manage disruption while enabling your organization to thrive in and respond to an increasingly fluid world. Our conference will provide you with the ideas, insights, and tools to succeed in your transformational leadership path. How can we lead change in a time of disruption? How can public sector organizations best respond to these trends? What strategies can be applied to shifting the way in which organizations ‘think’ and ‘work’ in an age of rapid and fluid change? Our conference will tackle these critical questions and is focused on helping you navigate and succeed in the landscape of disruption by unlocking the key tool of shifting the mindset of your own organization. to receive our special group rate by February 10th, 2019. After January 18, 2019, reservations will be handled on a rate availability basis and rate adjustments after check in will not be made. A deposit equal to one night's stay is required to hold delegate's reservation at the time of reservation. All reservations must be cancelled 48 hours (2 days) prior to arrival by 4 p.m. EST. Cancellations made within 48 hours of arrival will result in a charge of a one night's stay plus taxes and fees (subject to change without notice). No show charges will apply if a delegate does not arrive on the date of their reservation or if notice of cancellation after 4:00 pm on the day of arrival. Just visit UPexpress.com before February 11, 2019 and use promo code IPAC2019 to get your 25% discount on adult return tickets (round-trip) from Pearson Station to Union Station (regular price $24.70* CAD). Tickets are valid for 1 year. 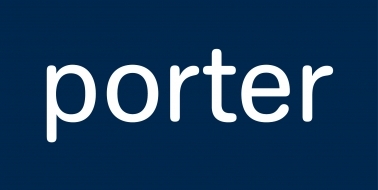 Please book online at https://www.flyporter.com/en-ca/?promocode=IPAC19 or through your travel agent using promo code “IPAC19”. 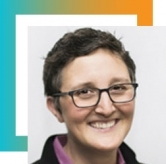 Anne Bermonte was awarded a 2018 OPS Research Fellowship to examine “Building Ontario’s Entrepreneurial Capacity.” The research focus of the OPS Executive Fellowships program takes into consideration emerging developments that may affect the future business priorities of the OPS, where sound knowledge is needed to prepare the organization. Since February 2018, Anne has been embedded at Ryerson’s Digital Media Zone (DMZ) to build a deep understanding of Ontario’s startup ecosystem with the goal of creating pathways to leverage transformative technologies to help the government of Ontario solve important policy challenges and drive operational efficiencies. She has been researching the business models and culture of Ontario’s startups with a particular focus on artificial intelligence, and applying her experience and knowledge working with senior officials to drive transformative change. Anne Bermonte graduated from the MA in Public Policy and Administration in 2011. While enrolled in the MPPA Program, Anne completed an MA thesis titled, “Senior Leaders’ Use of Web 2.0 and Social Media in the Ontario Public Service” that was supervised by Dr. Carolyn Johns. For the past five years at Open for Business, Anne Bermonte lead the design and implementation of Ontario’s regulatory modernization agenda which included launching the Red Tape Challenge in 2016, guiding the passage of two annual burden reduction bills, creating the Regulatory Centre of Excellence and delivering four annual Burden Reduction Reports identifying $152 million in savings to business. Anne’s success building meaningful and trusted networks with businesses, regulatory ministries, other provincial governments, the federal government and municipalities has contributed to the successful implementation of the government’s regulatory modernization agenda. On June 19th, 2017, Robert Smith was appointed Executive Director, Innovative Solutions Canada, Innovation, Science and Economic Development Canada. Prior to that, Robert was Director General responsible for Indigenous Programs Operations, Program Operations Branch, Service Canada, from October 2013 to June 2017. Over the years he has held a number of other positions including Chief of Staff to the President of Shared Services Canada from August 2011 to October 2013, as well as Senior Advisor to the Senior Associate Deputy Minister (HRSDC) and Chief of Operating Officer, Service Canada from 2009 to 2011. Robert holds a Bachelor of Arts Degree in Political Science (Hon.) from Bishop’s University and a Master’s in Public Policy and Public Administration from Concordia University. 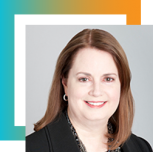 Jennifer’s 20 year career in the financial services industry has included senior roles in investment banking, venture capital, and global risk management. In 2017, she was named the new CEO of Toronto Financial Services Alliance (TFSA). 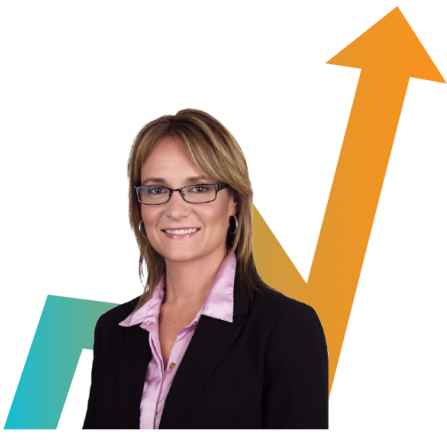 Prior to joining TFSA, Jennifer was the President & CEO of Women in Capital Markets (WCM), Canada’s largest industry association and advocacy group for women in the financial sector. 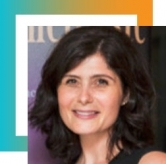 She is a Director on the Board of the Canada Development Investment Corporation (“CDEV”), the Women’s College Hospital Foundation and Citibank. She was also named a Women’s Executive Network (WXN) Canada’s Most Powerful Women: Top 100 Award Winner in 2015 and 2017. Barbara Swartzentruber is currently the Executive Director of Strategy, Innovation and Intergovernmental Relations at the City of Guelph. Barbara has more than 30 years of experience in the public sector, leading the development of strategy & policy initiatives at the local, provincial and national level in the areas of smart cities, citizen engagement, digital economy, rural broadband, open government/data, I&IT strategy. She has taught public policy, community development and advocacy at several Canadian universities. Her work includes a focus on public sector innovation & collaboration, including recent projects such as the Guelph Lab, the Civic Accelerator, and the Municipal Innovation Exchange. Deryn Rizzi currently serves as the Fire Chief with Vaughan Fire and Rescue Service (VFRS). Her proven commitment to service excellence and public safety helped ensure that VFRS became the first fire department in Ontario to have all firefighters trained and tested for the National Fire Protection Association’s Standard for Technical Rescue Personnel Professional Qualifications. VFRS continues to be recognized in Ontario as a leader in emergency service delivery and received a 100 per cent satisfaction rating in the City of Vaughan’s 2018 Citizen Survey. She is a champion of modernization and innovation to grow and sustain an efficient and effective delivery of service utilizing critical thinking skills, coupled with a capacity to build and maintain interpersonal relationships. 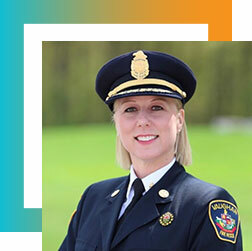 Beyond her work at Vaughan City Hall and in local fire halls, Chief Rizzi continues to be a trusted, respected and sought after thought leader, committed to mentoring and educating about proven and emerging best practices on emergency preparedness and response. Chief Rizzi has taught at the Ontario Fire College, Durham College’s Pre-Fire Service Program, George Brown College School of Emergency Management and Humber College Fire’s Executive Management Program, among others. She speaks publicly nationally and internationally on topics ranging from active threats to leadership. Chief Rizzi is the elected Vice President of the Ontario Association of Fire Chiefs, she Chairs the Human Relations Committee for the International Association of Fire Chiefs, is a member of the Hospice Vaughan Board of Directors, the Public Services Health and Safety Association (PSHSA) Board of Directors and the St. John Council for Ontario Board. Chief Rizzi completed a Bachelor of Education and Bachelor of Arts from Queen’s University. She graduated from York University with both a Masters of Arts, Disaster and Emergency Management and a Disaster and Emergency Certificate. She has also completed a Diploma in Public Administration from Western University. Chief Rizzi holds a Masters Certificate in Municipal Leadership from the Schulich School of Business and is completing a PhD at York University. Dr. Enid Slack is the Director of the Institute on Municipal Finance and Governance (IMFG) at the Munk School of Global Affairs and Public Policy at the University of Toronto. IMFG is the only institute of its kind in North America, which focuses exclusively on the fiscal health and governance challenges faced by large cities and city-regions. The Institute’s mandate is to conduct independent research, spark and inform public debate, and to engage the academic and policy communities around important issues of municipal finance and governance. Enid has been working on municipal finance issues for over 40 years. She has written extensively on a range of topics including metropolitan governance, property taxes, intergovernmental transfers, development charges, financing municipal infrastructure, and municipal fiscal health. Recent books include Is Your City Healthy? Measuring Urban Fiscal Health (co-edited with Richard Bird) and Financing Infrastructure: Who Should Pay? (co-edited with Richard Bird). Enid consults on municipal finance and governance issues with governments and international agencies such as the World Bank, IMF, UN Habitat, Asian Development Bank, the International Growth Centre, and the Inter-American Development Bank. She has consulted in Canada as well as other countries including Brazil, Chile, China, Colombia, India, Mexico, Mongolia, the Philippines, South Africa, Tanzania, and Uganda. She is a member of the Board of Advisors of the International Property Tax Institute (IPTI). In 2012, she was awarded the Queen’s Diamond Jubilee Medal for her work on cities. Peter Wallace was appointed Secretary of the Treasury Board effective April 4, 2018. Mr. Wallace began his public service career in 1981 after completing a B.A. (Honours) in Political Economy and a Master of Public Administration from the University of Toronto. Alex Benay was appointed the Chief Information Officer of Canada, effective April 3, 2017. Prior to this appointment, Alex was the President and Chief Executive Officer of the Canada Science and Technology Museums Corporation since July 2014. Commonwealth Secretariat and the Olympics. Before joining OpenText, Alex managed various teams and programs at the Canadian International Development Agency, Foreign Affairs and International Trade Canada, Natural Resources Canada, and Library and Archives Canada. Alex has a B.A. in History from the University of Ottawa and a master’s degree in History. He was recently named to Apolitical’s international list of the 100 most influential people in digital government. He is also the author of Canadian Failures, an anthology of essays from prominent Canadians openly talking about failure, and Government Digital, an in-depth look at how modern governments are tackling digital change. 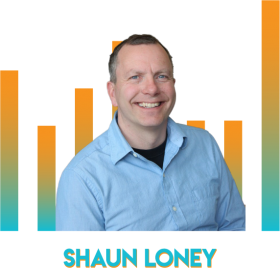 Ashoka Fellow Shaun Loney is widely recognized as one of Canada’s leading social entrepreneurs. He has started or mentored 14 social enterprises in sectors as diverse as energy, construction and agriculture. Shaun is the author of the best-selling "An Army of Problem Solvers: Reconciliation and the Solutions Economy." He has a new book out called “The Beautiful Bailout: How Social Innovation Will Solve Government’s Priciest Problems. 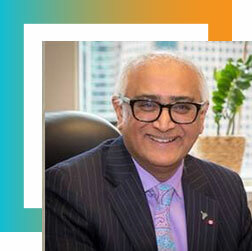 Vince Pranjivan is the Senior Advisor to the Commissioner, and was previously the Ontario Region Assistant Commissioner of the Canada Revenue Agency. He holds a Masters Degree in Business Administration and is a Chartered Professional Accountant. Vince is a seasoned professor with many years of experience in teaching at the University of Toronto and other institutions, using both in-class and on-line environments. 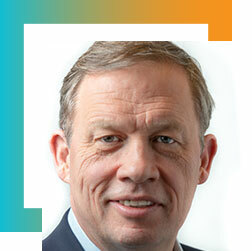 Vince has a significant track record of innovative leadership in both operational and strategic domains, and lead the largest regional organization, with over 14,000 people, within the Government of Canada. Dan joined the ICCS in April 2015. He leads a dynamic team that helps public sector organizations pursue service excellence through research, learning, collaboration and professional development. Previously, Dan worked for the Government of Canada as a Senior Director leading a number of innovative teams that provide services to small businesses and entrepreneurs including the Canada Business Network and BizPaL. 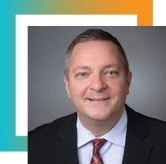 Dan has a Master of Public Administration degree from Carleton University and a Master of Electronic Commerce degree from Dalhousie University. Dan received a 2012 Queen Elizabeth II Diamond Jubilee Medal, and the Institute for Citizen-Centred Service 2013 Ralph Heintzman Leadership Award, for his commitment and leadership to developing and delivering client-centric services across all levels of government. 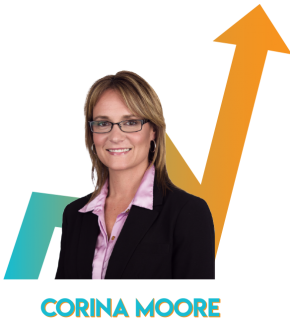 Corina Moore, President and CEO of Ontario Northland - a transportation agency, is a proud northerner with a hands-on leadership style focused on the long term sustainability of the organization. Corina’s early career traces a journey around the globe in business process engineering and optimization in the telecommunication and technology industries. As President and CEO she is a fearless leader, responsible for the radical transformation of Ontario Northland into a renewed, strong and stable organization. Her efforts have resulted in unprecedented positive changes for the North; hiring over 200 new employees, adding over 20 new rail freight customers, expanding motor coach services for the first time in the company’s history, reducing operating costs significantly and obtaining long-term investment from the Province. Her passion and appreciation for new ideas have transformed the company’s culture into one of innovation. She takes her customers and employees satisfaction seriously, resulting in their dedication and commitment to the organization. 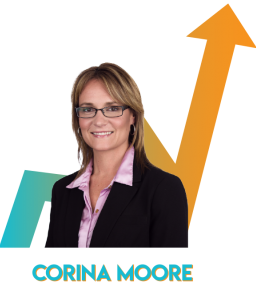 Over the next few years, Corina’s focus will be to continue delivering strong and reliable transportation services that are vital to the people of Northern Ontario while adding new customers, enhancing service delivery and making processes even more efficient. Corina was recognized by Progressive Railroading and the League of Railway Women as 2018’s Outstanding Woman of the Year and by Railway Age as one of ten women who are visionaries in the rail industry in North America. She is the first woman to be appointed to the Railway Association of Canada’s Board of Directors and the first woman to appear on the front cover of Railway Age Magazine since its inception in 1856. She is a graduate of Waterloo University in Systems Design Engineering and Business Administration and Management. travelling, volunteering or enjoying time at the lake with her children. 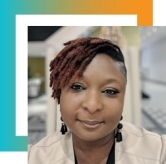 Nadine Huggins is the Executive Director of People Management and Community Engagement with the Office of the Chief Human Resources Officer (OCHRO) at Treasury Board Secretariat (TBS). She is responsible for public service people management policies including the policies on Interchange Canada, Learning, Training and Development, Student Employment, Performance Management and Harassment Prevention. She is also responsible for Employment Equity, Diversity and Inclusion and engagement with the human resources management community. Prior to joining TBS, Nadine enjoyed a successful career in various executive roles across a number of organizations within the public service including the Department of Justice Canada, the Public Service Commission and Labour Canada. Nadine has led a variety of key files over her career. Most recently, she served as the Executive Secretary and Director for the Interdepartmental Circles on Indigenous Representation, and as a key member and co-chair of the Joint Taskforce on Diversity and Inclusion technical committee. 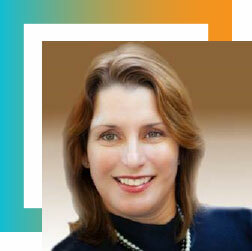 Nadine’s leadership emphasizes and values integrity, collaboration, values and ethics and achieving results. Nadine consistently works toward building a healthy, respectful, diverse and inclusive public service. Elected in May 2016, Margaret Froh is the first woman to serve as President of the Métis Nation of Ontario (MNO). She lives in Barrie, Ontario, which is within the historic region of the Georgian Bay Métis Community. Margaret is one of eight children born to Frank and Marie (Marchand) Froh. Growing up, Margaret spent her youth fishing and canoeing and was active in air cadets and sports. Her parents instilled strong values in their children, including the importance of volunteerism and education. Originally from the Qu’Appelle Valley in Saskatchewan (near Fort Qu’Appelle), Margaret has lived in Ontario for over 20 years. She moved to Ontario in 1993 to attend law school at the University of Toronto and has made Ontario her home. Margaret wanted to gain a legal education and skills in order to advocate on behalf of her own people and other Indigenous peoples. She has spent her career working on behalf of Métis, First Nations and Inuit peoples. Over the last 20 years, Margaret has also served in elected and executive positions— including the role of President—of various boards of Indigenous community organizations, associations and businesses operating at the local, provincial and national levels in Canada. Notably, Margaret is the former President of the Indigenous Bar Association in Canada (IBA), a national professional association of Métis, First Nation and Inuit lawyers, judges, law professors and law students. She is the current Chair of the IBA’s Law Student Scholarship Foundation. She has chaired numerous committees of the IBA, including the IBA Ethics Committee, and served as Chair of the Steering Committee for the Accessing Justice & Reconciliation national community-based research project working with Indigenous communities to revitalize Indigenous law in Canada. In addition to her volunteer work at the national level, Margaret supports an exciting local initiative aimed at raising awareness around the need for mental health supports for youth in the region, and with a local animal rescue. One of her favourite activities is mentoring Indigenous youth and encouraging them on their academic and professional journeys. Margaret also shares her knowledge and leadership experience in her role as faculty for the Banff Centre’s Indigenous Leadership & Management Program (now the Lougheed Leadership Institute). Margaret teaches part-time for the Banff Centre and has helped Métis, First Nations and Inuit leaders from across Canada develop their leadership skills, with a particular focus on nation-building and good governance. She has also taught as Adjunct Faculty at the University of Toronto Faculty Of Law, and has lectured on Métis, First Nations and Inuit legal issues across Canada and internationally. Jennifer St. Germain has been working within the Métis Nation of Ontario’s public service for more than twenty years. 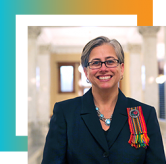 She is currently the Chief Strategy Officer for the Métis Nation of Ontario (MNO) and has an extensive background in Indigenous public policy and more specifically in Métis public administration. Jennifer is a frequent guest lecturer and speaker on Métis Nation policy, program and governance. She holds a Master of Arts in Indigenous and Canadian Studies and is currently working toward a PhD through the School of Indigenous and Canadian Studies at Carleton University. Her areas of research include Métis nation building, public administration and contemporary governance in Ontario. Jennifer and her spouse Carey currently reside in Ottawa and are the proud parents of Hanna and Autumn. Nicholas is a skilled Management Consulting professional with wide ranging experience across the public sector including core government, social services, education, housing, infrastructure, transportation, justice/policing, and healthcare. In addition, his broader public sector clients have included large power generation and distribution utilities, school boards and post-secondary institutions, hospitals, telecommunications and lottery/gaming. 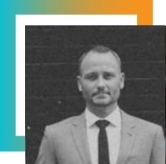 His project experience has included work with all levels of government, and in each of the Canadian, American and British public sector environments. Nicholas has led a number of projects with the over-arching objective of increasing the efficiency and effectiveness of government and he understands the challenges of achieving such initiatives in a complex legislative, political, and stakeholder environment. 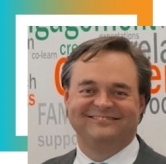 Prior to joining Gartner Consulting, Nicholas spent ten years in various capacities within KPMG’s Public Sector and Healthcare consulting practice, including two years as KPMG’s Global Executive Director for Government, Infrastructure and Healthcare in which he was actively involved in the development of global thought leadership, sharing of best practices in government and, the overall advancement and expansion of global consulting operations. 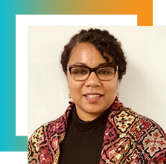 Juliet Jackson is the Director of Culture and Inclusion at the Region of Peel and has held many leadership positions, which has contributed to her becoming an accomplished strategic leader, coach and influencer in the Public Sector. Director of Integrated Community Access, Director of Human Services Strategy and Service System Manager for Affordable Housing in Peel are a few notable leadership examples. In addition, Juliet has been the President of the Peel Children’s Aid Society Board since June 2017 and is actively supporting the development of an Afro-Canadian Wrap-around service model for child welfare. In February of 2017, the Office of Culture and Inclusion was established. Juliet led the development of Peel’s Culture & Inclusion Strategy and continues to lead the implementation towards sustainable change. The Strategy aims to influence a shift in organizational culture and creating a solid foundation for staff to unite around one shared vision for the Region of Peel; “Community for Life”. The Region aspires to be open, dynamic, collaborative, communicative, adaptable and Inclusive, but disruption of the status quo and behaviour change at every level of the organization is required to be successful. Kerry joined Trillium Health Partners in September, 2018. He leads a team of human resource professionals in delivering programs and services that strengthen and support the organization’s almost 10,000 employees. The team’s primary focus is on enabling and supporting the hospital in delivering a new kind of health care for a healthier community. From 2016 to 2018 Kerry worked in the municipal sector as Executive Director of Human Resources with the City of Toronto. Before joining the City he spent his career with the Ontario Public Service (OPS) in a number of progressively responsible ministry and corporate roles. He served as Assistant Deputy Minister (ADM) of the Centre for Leadership and Learning, ADM for an Accessible Public Service, and Chief Learning Officer. He also directly supported the Secretary of the Cabinet with senior executive human resource matters. In addition to his role with the City, Kerry recently completed a six year provincial appointment as a Commissioner on the Board of the Niagara Parks Commission. Jim is the Chief Administrative Officer of the County of Hastings. Jim has been in the municipal affairs business for 38 years. He has worked as chief administrative officer in small municipalities, as a city administrator and for the past fifteen years has been the CAO for the County of Hastings. Jim started his career with the Ministry of Municipal Affairs and Housing and served in various positions in his 9 years with the Ministry including as Regional Director for Eastern Ontario. Jim is also currently the Co-Lead of the Eastern Ontario Regional (broadband) Network. EORN is an ambiguous $175 million dollar project completed in 2015 to provide access to high speed, high capacity Internet services to more than 425,000 homes and businesses throughout the 50,000 square kilometers that make up Eastern Ontario. A project of the Eastern Ontario Wardens’ Caucus, Jim has been a part of the Project since its earliest days. As Project Co-Lead he is a senior member of the EORN leadership team and works to support EORN’s ongoing efforts to expand access to and utilization of high-speed internet services across the region. Jim is currently co-chairing the ONWARD Initiative which a group all the major municipal staff organizations in Ontario dedicated to staff training and improvement. ONWARD also counts the Association of Municipalities of Ontario and the Ontario Municipal Employees Retirement System (OMERS) as members of the group. Together ONWARD has a mission to raise awareness of the need for succession planning among Ontario’s municipalities especially in light of the demographics of the municipal workforce. Over the course of the past three decades Jim has taken an active role in municipal advocacy through his work with the Association of Municipalities of Ontario where he served in a number of roles including as Secretary-Treasurer and as a member of the Board of Directors. Jim is also a past president of the Ontario Municipal Administrators’ Association. He has participated in many municipal reform projects including the Provincial-Municipal Fiscal and Services Delivery Review. He also authored along with his two panel partners a wide ranging review of Ontario’s water and waste water sector entitled: Watertight: A case for Change. Denise Amyot is the President and CEO of Colleges and Institutes Canada (CICan) which is the national voice of Canada’s publicly supported colleges, institutes, cégeps and polytechnics. 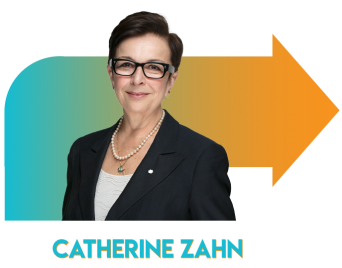 She is a passionate advocate for Canadian post-secondary education and a proven leader with extensive experience in non-governmental organisations as well as the public sector. Denise Amyot became president and CEO of CICan in 2013 following a distinguished career in the public service. Over the years, she has occupied a number of high profile leadership positions in several federal departments including Human Resources Development Canada, National Defence, Natural Resources Canada, Canadian Heritage, and the Public Service Commission. She has also worked as an administrator with the Department of Education of the Northwest Territories. Prior to joining CICan, she was President and CEO of the Canada Science and Technology Museums Corporation, a federal crown corporation which includes three national science museums. She has also served as Senior Vice-President of the Leadership and Talent Management Sector at the Canada Public Service Agency (now the Treasury Board), where she led and managed leadership development programs, and helped develop policies for employees and executives throughout Canada’s public service. 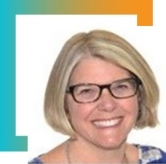 Before moving into management positions, she began her career as an educator and worked in Ontario, Quebec and the Northwest Territories to teach and develop a variety of pedagogical resource materials. 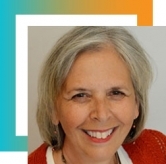 Parallel to her work at CICan, Denise Amyot is currently the Chair of the Advisory Committee of the Institute of Science, Society and Policy (ISSP). She also sits on the Human Resources Policy Committee of the Canadian Chamber of Commerce and on the Advisory Council of the Schulich Centre for Excellence in Public Management at Western University. She has also been appointed as a director by the Government of Ontario to the Ontario Trillium Foundation, Canada’s largest foundation. She has also been extensively involved in the World Federation of Colleges and Polytechnics and, after four years and a half at its helm, continues to sit on its Board as past Chair of the federation. Denise Amyot has obtained a Master’s degree in Education and three Bachelor degrees in Biology, in Arts/Humanities and in Education. 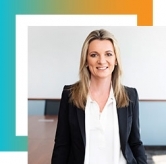 Dedicated to a strong values-based leadership, she is also passionate about sailing, cross-country skiing and networking. Bianca is an open government advocate with a dual background in technology and public engagement. She is the co-founder of Tech Reset Canada and a Senior Fellow at the Centre for International Governance Innovation in the Global Economy program. She worked for several years in the tech sector in operations, infrastructure, corporate training, and product management, most recently at Thomson Reuters. As a facilitator at Swerhun Inc., she designed, delivered and supported public consultation processes for various governments and government agencies. In 2014 Bianca founded the Open Data Institute Toronto and in 2016 she co-founded Civic Tech Toronto. 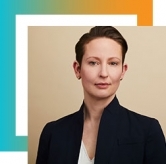 She is a columnist, guest lecturer, and speaker on open government and public sector technology policy and a proud member of the Toronto Public Library’s Innovation Council and the Toronto Open Smart Cities Forum. Rupert Gordon joined the Ministry of Children, Community and Social Services in August of 2017 as the Assistant Deputy Minister of the Community and Developmental Services Division. Prior to this role, Rupert was the Director of the Poverty Reduction Strategy Office at the Treasury Board Secretariat. Before that as the Director, Early Years Policy and Programs at the Ministry of Education, he worked on the rollout of full day kindergarten and the modernization of child care and family support programs. Rupert has worked in a number of other roles in the Ontario Public Service at Cabinet Office and the Ministries of Municipal Affairs and Housing, Public Infrastructure Renewal, Finance and Intergovernmental Affairs. He has an undergraduate degree in Political Science and Mass Communication from Carleton University and three graduate degrees in Political Science, including a Ph.D, from Yale University. 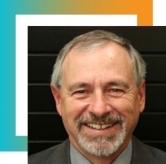 David Fulford became Vice-president of research and policy at Colleges Ontario in February 2018. He recently retired as the Assistant Deputy Minister in the employment and training division at the Ministry of Advanced Education and Skills Development (MAESD) of the Government of Ontario. Prior to that, he served as an assistant deputy minister in the corporate management and services division for the Ministry of Education and the Ministry of Training, Colleges and Universities. During his time at MAESD, he was the executive champion for diversity and inclusion for three years. 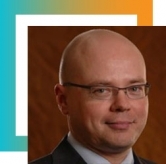 He is a champion for the Institute for Public Administration Canada (IPAC), having spoken at numerous conferences, worked in Lithuania with its government on behalf of IPAC, and most recently co-chaired the 2018 IPAC leadership conference. As well, he is a guest lecturer at the University of Waterloo. 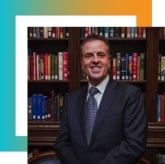 Fulford, a graduate of the University of Toronto and the Ivey executive program at Western University, has also been an assistant deputy minister at the Ministry of Finance and a director in the Management Board Secretariat. Kent Campbell is Saskatchewan’s Deputy Minister of Trade and Export Development. In this role he leads provincial efforts to enhance trade relationships, increase exports, attract investment, improve economic competitiveness and advance Saskatchewan’s international relations. 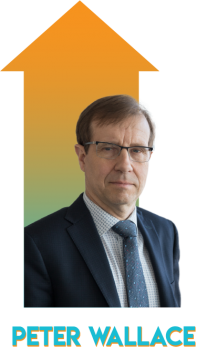 Kent has previously served as Saskatchewan’s Deputy Minister of Intergovernmental Affairs, Deputy Minister of the Economy and Deputy Minister of Energy and Resources. Mr. Campbell has also served as Interim Deputy Minister to the Premier and Cabinet Secretary under two Premiers. 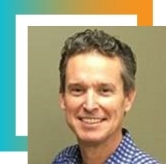 With more than 22 years of experience in the public sector, Kent has extensive experience in developing and implementing public policy, in managing major projects, and in leading public sector organizational change. Kent has two undergraduate degrees from the University of Regina, a Masters of Business Administration from Queen’s University and is a Chartered Professional Accountant. Paula Kwan brings a deep and broad set of experience from the software industry with a focus on building ambitious projects, teams and departments from zero-to-one, delivering results in an agile way, and ensuring those solutions and improvements are scalable. Eager to make an impact in her own community, Paula is excited to leverage her experience, passion, and network within the tech sector to help take the City of Toronto to the next level of this innovation movement. Larissa joined the federal public service in 2008 after completing her master’s degree in Political Science (Canadian Federalism) from Dalhousie University with a focus on incorporating community voices into government policy and program development. Her first experience as a public servant was to pull a canoe down the Fraser River for seven days with Indigenous and government partners in the name of reconciliation. Since experiencing the power of connection through the Pulling Together Canoe Journey, Larissa has focused on building positive relationships between Indigenous communities and various departments within the Government of Canada (DFO, Transport, Justice Canada). As the British Columbia Regional Coordinator of the Indigenous Justice Program with Justice Canada, Larissa worked alongside Indigenous communities in support of re-developing restorative, community-based approaches to justice. Part of this work included building and maintaining delicate relationships between communities and RCMP, federal and provincial governments and other justice partners. In 2018, Larissa moved into her current role as the Senior Analyst of National Policy with the Indigenous Justice Program where she is supporting the Government of Canada’s response to the Truth and Reconciliation Commission’s Calls to Action. She is very excited to broaden the conversation around reconciliation in all its forms. Larissa works and lives in downtown Vancouver, in the beautiful territory of the xʷməθkwəy̓əm (Musqueam), Skwxwú7mesh (Squamish), and Səl̓ílwətaɬ (Tsleil-Waututh) people, with her husband and their two sons. 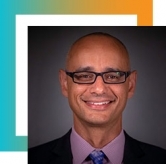 Rodney Ghali is the Assistant Secretary to the Cabinet of the Impact and Innovation Unit at the Privy Council Office, Government of Canada. 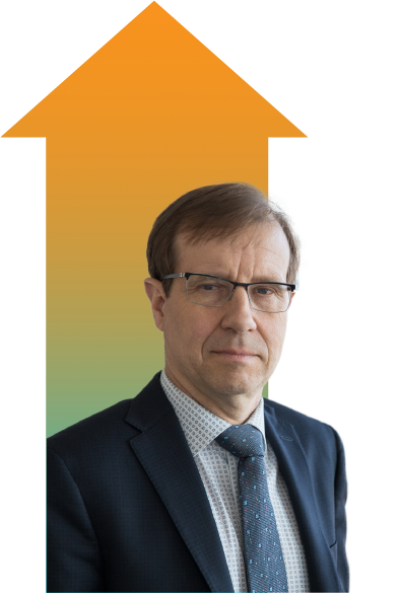 He is responsible for leading the exploration and execution of new and innovative policy and programmatic approaches, focused on improving impact, accountability and value for Canadians. Prior to his current role, Rodney was Director General of the Centre for Chronic Disease Prevention, Public Health Agency of Canada, where he was responsible for overseeing the Federal Government's policy and programs in the areas of healthy living and chronic disease prevention. Previously, Rodney spent a number of years at Health Canada in various positions such as Senior Advisor to the Deputy Minister and Director of Strategic Policy. He has worked on numerous legislative/regulatory initiatives and health-related issues including: food and consumer product safety, reproductive technologies, aboriginal health, blood safety and mental health. 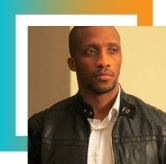 Rodney holds a Master of Science (neurobiology) from McGill University and a Honours Bachelor of Science (genetics) from the University of Western Ontario. Jean-Stephane Bernard is Associate General Secretary for the Secrétariat du Québec aux Relations canadiennes of the Ministère du Conseil exécutif since March 2018. 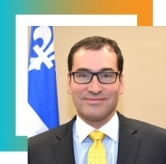 Between October 2014 and March 2018, he was Deputy Minister of the Ministère des Relations internationales et de la Francophonie, after being the Assistant Deputy Minister for the Bilateral Affairs of the same ministry from August 2012 to October 2014. He was before that Québec Delegate to New England, from February 2011 to August 2012, and he represented the Québec government in Washington DC as Director of the Québec Office, from November 2007 to February 2011. Mr. Bernard began his career in the Québec public service in 1994. From 1994 to 2007, he held a variety of positions at the Régie des rentes du Québec (provincial pension commission), serving as Financial Management Analyst; Assistant to the Vice-President, Client Services; Assistant to the Chief Executive Officer; and finally as Director of the Internet Services and Corporate Security Branch. In March 2007, he was appointed Director of Revenu Québec’s Online Services Development and Planning Branch. Over the years, Mr. Bernard also served on the Board of the Québec Public Administration Institute (IAPQ). In addition, he chaired the Young Explorers Program and the Public Service Youth Forum, as well as coordinating the Public Service Executive Forum (FDGO) and the Public Service Expertise Centre (CEGO). In 2005, he served on the provincial Healthcare and Social Services Task Force chaired by Jacques Ménard. Mr. Bernard received a degree in administrative sciences (finance and accounting) from Laval University and a master’s in public administration from the National School of Public Administration (ENAP) in Québec City. He also completed an executive education certificate at the Massachusetts Institute of Technology (MIT). In 2018, he received from the ÉNAP for his exceptional contribution the medal of the 50th anniversary of the University of Quebec. Thoz has 18+ years IT Professional. Combined management and entrepreneurial experience. 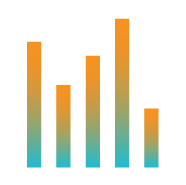 • Founded a small technology and project management business, in 2006 with an annual growth of 2-3%. • Co-founded a liftshare for-profit business, in 2012 with an annual turnover of <$50k. 1 x Major client in Asset Management. • Delivered Infrastructure-As-A-service projects, for a leading Global Financial Services and Aviation company. • Lead a new build and implementation of an Innovative cloud based service, in Cognitive computing using Machine learning and integrating to IBM Watson services. Project filed 6 x IBM Utility patents, in 2017. • Delivered a B2B implementation programme, for a Leading Health Care Administrator, for in-and-out of Hospital patients. build strong relations with client to uncover more sales opportunities through the IBM experience. Taran S. Wasson is the Talent Manager of the Canada’s Free Agents program at the Treasury Board of Canada Secretariat (TBS), Government of Canada. 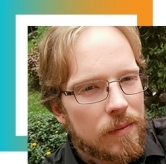 He most recently worked in Open Government, TBS, and has previously worked with the Privy Council Office, Employment and Social Development Canada (ESDC), Labour Program, and Canada Border Services Agency. Taran also currently serves as the Chair of the Institute of Public Administration of Canada – National Capital Region, and has been with the IPAC-NCR Board since 2014. From 2012 to 2014, he was the National Co-Chair of YMAGIN, ESDC’s youth professional network, which he led to become the largest departmental employee-led youth network and actively worked with senior management to advance key priorities (e.g., Blueprint 2020 and innovation). He was previously the YMAGIN-Labour Co-Coordinator from 2009 to 2012. He is happy to connect with like-minded professionals on Twitter @TaranWasson, LinkedIn and GCcollab. 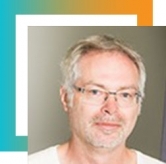 Dr. Evans joined the faculty of Ryerson's Department of Politics and Public Administration in August 2003, however, his association with the Department, as a sessional instructor and member of the Department's Advisory Council goes back to the early 1990s. Prior to his appointment to a tenure-stream position, Bryan enjoyed a diverse career as a researcher, policy advisor and senior manager spanning several public sector organizations including the Ontario Legislative Assembly, the Ontario Public Service and the Workplace Safety and Insurance Board. Zachary Woodward has been working with the BC Government in Procurement since June 2017. In November 2017, with a key team at the BC Developers’ Exchange, he began the development and launch of Sprint With Us which has been responsible for the development and launch of a new Agile development methodology for public sector procurement. 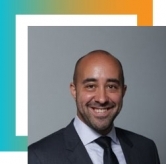 He has a Masters in Global Business, a background in business analytics, contract and change management, and has utilized these skills both at home in Canada and abroad. 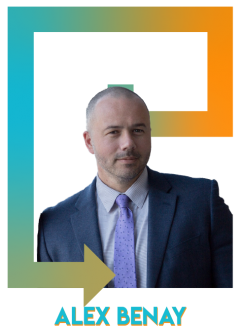 With a passion for organizational change, Zach has spent the past 6 years introducing new opportunities for operational and technical enhancements across the procurement landscape. Wendy Feldman works at the Treasury Board Secretariat at the Government of Ontario. Her government career includes experience in Cabinet Office and several Ontario ministries, as well as Global Affairs Canada (in Ottawa, Paris and the UN) and the Office of the Solicitor General of Canada. She has also taught a course in public policy research recently at Humber College. Wendy served as Director of Research of the Institute of Public Administration of Canada for six years. She is a graduate of the Harvard Kennedy School and the University of Ottawa. Talene has over a decade of experience leading public-facing and government-wide workforce strategies, policies and programs. This includes the OPS Talent Management program, the Ontario Internship Program and over 30+ leadership initiatives to build transformative leadership capacity of aspiring managers through to deputy ministers government-wide. Prior to serving in corporate leadership roles, Talene was a management consultant within government (Treasury Board Secretariat, Ministry of Government and Consumer Services, Ministry of Education) and previously, external to government (Centre for International Governance Innovation, Universalia Management Group, National Judicial Institute). Ta Talene has honed unique expertise in medium to large-scale organizational capacity building initiatives; including, evidence-based human and social capital planning, organizational development, and operational policy and program design, development, delivery and program evaluation. Her community engagement includes: Serving as Advisor to the Ted Rogers School of Business Management (2016 – present, Ryerson University); Chair and School Improvement Lead of a School Advisory Council for the Toronto District School Board (2017 – present); Executive Board Member of Queen’s Park Community Care Centre (2013-16); Co-founding Member of Amethyst-Award winning Women in Government 2014 – present); and serving as a Judge for the HR Awards of Canada (2017, 2018). Talene’s formal social science training includes a research-intensive Master degree from McGill University in Integrated Studies in Education, and a four-year combined Honours Bachelor of Arts degree from Western University, where she was awarded the gold medal for top academic standing. Satsan is a Wet’suwet’en Hereditary Chief of the Frog Clan and has been a long-time Speaker for the Wet’suwet’en Nation, which is located in BC. He previously served as Speaker for both the Gitxsan and the Wet’suwet’en Nations. Satsan was a key figure and strategist in the Delgamuukw-Gisday'wa case, which was the subject of a successful judgment before the Supreme Court of Canada in December 1997. Satsan was President of NCFNG (National Centre for First Nations Governance), CFNG's predecessor organization, and is now a Senior Associate for the Centre for First Nations Governance. He served two terms as Regional Chief, representing B.C. at the Assembly Of First Nations, and one term on the Executive of the First Nations Summit. 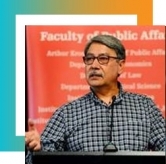 Satsan was also Adjunct Associate Professor in the School of Public Administration at the University of Victoria, and taught for several years in the University’s Administration of Aboriginal Governments Program. Barbara Gray took on the position of General Manager, Transportation Services in December 2016. She assumed this role after 19 years with the City of Seattle where she has held a series of senior positions involved in transportation and land use planning and design, culminating in her 2014 appointment as Deputy Director of the Department of Transportation. 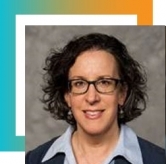 Barbara also has had extensive experience in the private sector as an urban design and transportation planning consultant providing services to federal, state and local agencies and community groups. In her new role, Barbara will add her unique experiences in leading Transportation division priorities such as the Vision Zero Road Safety Plan, Congestion Management Plan, and Ten Year Cycling Network. Hillary Hartley is the Chief Digital Officer and Deputy Minister Responsible for Digital Government for the Government of Ontario, Canada. Previously, she was cofounder and deputy executive director at 18F, a digital services consultancy inside the General Services Administration in the U.S. federal government. She was a Presidential Innovation Fellow in 2013, where she worked on the development of MyUSA.gov. Hartley has been working to make government more accessible and available online for nearly two decades, starting as a web designer for Arkansas.gov in 1997. As director of integrated marketing for eGovernment provider NIC, Hartley helped NIC’s 30 state government partners embrace new technology and concepts for a 21st-century government. She speaks at events across the country, bringing an internet-era vision of service design and product development to government. Chris is the Executive Director of the Innovation Office, Ministry of the Attorney. Chris’ 12 year career with the Ontario Public Service includes both the Ministry of the Attorney General and ServiceOntario. Prior to joining the OPS, Chris worked in a variety of roles throughout Rogers Communications. The common thread through all of Chris’ roles, is his passion for customer service and process efficiency. At ServiceOntario, he worked to reduce wait times and introduce new online services, resulting in Canada’s first ever government money-back guarantees. At MAG, Chris and his team are working to simplify court and tribunal processes, and bring client-focused, digital services to Ontarians. 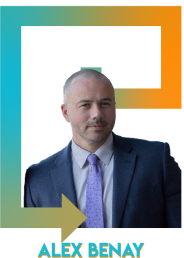 Most recently, Chris’s team delivered online filing for Divorces, Small Claims Court and Civil Courts in Ontario. Innovation is more than a tool plus a transaction - it's about creating value that is positive and durable. 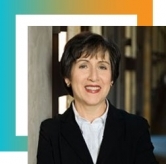 Drawing on experience from the mental health and health care sector, Dr. Catherine Zahn will share insights and strategies for navigating change toward efficient and responsive public sector organizations. Demands on public sector organizations are changing. Citizens expect great user experiences and streamlined service anywhere and anytime, and changing workforce demographics mean that government organizations must provide unique challenges and opportunities to attract and retain top talent. The Province of Nova Scotia and IBM partnered to open Canada's first Public Sector Innovation Garage, aimed at tackling problems with innovative, agile solutions. Within the Garage, IBM and PNS are changing the way Nova Scotians interact with their government, and engaging government employees in career-defining and life-saving projects. Attend this session to learn more about how this innovative partnership model works and the early successes it has generated so far in the areas of fraud detection and healthcare, among others. To achieve reconciliation we need to create the premises for cooperation and self-sufficiency between Indigenous communities, public service and the Canadian population. In this breakout session we will present stories of success and strategies to engage this critical vision. Increasingly public administrations must negotiate complex issues that present policy, financial, planning and implementation challenges. Our speakers will discuss the visions and strategies that are needed to successfully inspire and execute this type of change. Over nearly forty years serving three levels of government at the most senior levels, Peter Wallace has witnessed sweeping societal and technological change, and led governmental responses to them. Drawing on his experience as head of the Ontario Public Service, Toronto’s City Manager, and current Secretary of the Treasury Board of Canada, Mr. Wallace will share his perspectives on managing transformational change during disruptive times. He will speak to the importance of being adaptable to change and turning the page on traditions, while preserving core principles, especially a focus on the public interest. This session will discuss the nature of technological drivers of disruption that government organizations need to tackle. Speakers will discuss how to manage, exploit and foster disruption and change within the organization. Successfully achieving change, especially in the face of disruption can be daunting. This is why it is always important to hear from those leaders who have successfully navigated these changes. In this panel our speakers will bring their expertise in managing disruption and implementing successful change. Procurement is recognized as a critical tool in ensuring change and innovation in all sectors. Yet only a few public administrations have successfully harnessed its capacity. This panel has brought together some of the pre-eminent change leaders in this field. The possibilities of the fourth industrial revolution are endless. This presentation, presented by the Chief Information Officer of Canada, will focus on how Canada plans to embrace the opportunities of adopting a “Digital Government” approach. It will explore Canada’s key digital successes and failures and how it plans to reimagine its service relationship with citizens. Leaders have a critical role to play in shifting the minds of an organization. One of the key questions of our time is how to ensure that a change-orientation develops as opposed to simply forcing through one specific change. In our plenary session some of the most successful change-leaders in public administration will share their reflections and vision. The presentation will discuss key strategies required to renew a government agency to be a customer-centric, fiscally responsible organization that is filled with engaged employees looking for efficiencies and revenue opportunities. Learn how to shift mindsets, communicate urgency and challenge traditions that exist in a 116 year old company. Shaun Loney says that a new “problem solving” paradigm is emerging that turns governments from funders into customers. At the heart of the shift are social enterprises that have a plan to leave the child welfare crisis, ballooning health care costs and epidemic levels of incarceration behind - for good. All that is required is for governments to say “yes” to a shockingly simple question. This panel will tackle how leaders can foster and sustain a framework that will lead an organization on the road to innovation and change. Our panelists will explore the challenges and opportunities that change brings to a public service organization and how to set your organization on the road to effective transformation. When an organization is faced with delivering change and managing disruption, a fundamental building block is trust. Our speakers have all successfully managed to build trust within their respective organizations and are here to share with you their approach and vision. In an age of change and disruption leaders themselves, no matter where they sit within the organization, will need to develop and practice new skills. This session will both discuss what skills will be critical for future leaders and how to embed them in their organization. All levels of the Canadian public service have been devoting much attention to developing effective and forward-thinking public service renewal strategies. In this session a group of leading human resources experts from across the spectrum of government will discuss how to shape the future of public service. The panelists will explore the complex mix of hiring, retention, professional development and how these concepts will blend in the future to enable an innovative, effective and responsive public service.